We welcome new trade customers. 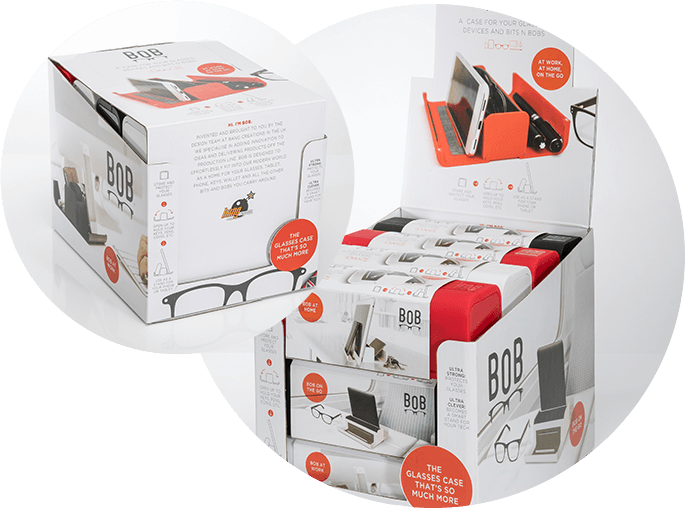 BOB is sold in CDU boxes containing 12 cases. 4 each of the three colours. Each BOB is sleeve wrapped. 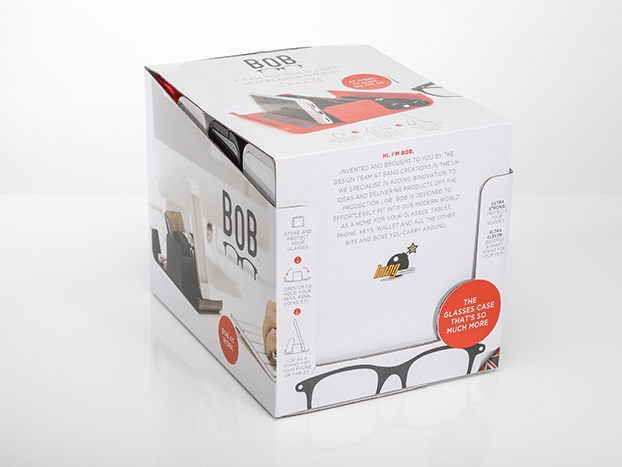 In a year of research with some pilot retailers globally we have learnt that BOB is a great impulse purchase, creates a lot of customer interaction, and in optical outlets is a great accessory, while in gift shops is often considered a unique “little gift or stocking filler”. Should you wish to replenish stock but chose your colour selection, 6 BOBS of the same colour can also be purchased as refills. We are looking for distributors in many markets, and happy to sell direct to trade. If you are interested in stocking BOB, please contact us at stefan@bangcreations.co.uk or phone +44(0)1428 654466 – Thank you. Please fill in the contact form and we will get back in contact with you. Don’t hesitate to follow up with a call. 01428 654466. 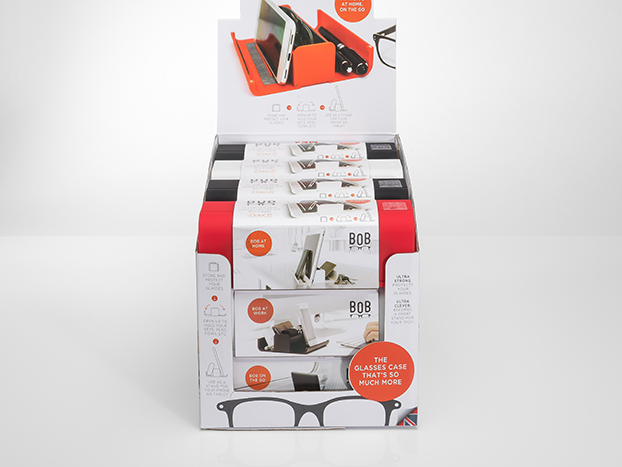 BOB: A home for your glasses and devices.